Barça B thrashed CE Sabadell 5-1 thanks to a hat-trick from an inspired Carles Pérez, and goals from Collado and Vilarrasa. The match began with intensity from both teams, and after only four minutes, Arturo put the visitors into the lead (0-1). Despite the early goal, García Pimienta's players didn't allow their heads to drop, and the magical Riqui Puig was instrumental in the equaliser, lofting a spectacular pass to Carles Pérez who controlled the ball before firing home (1-1, min 10). Barça attacked in waves but some solid defensive work from Sabadell ensured the scores were still level at the break. In the early stages of the second half the visiting team played a very high pressure game that hindered the free-flowing passing of the Catalans. 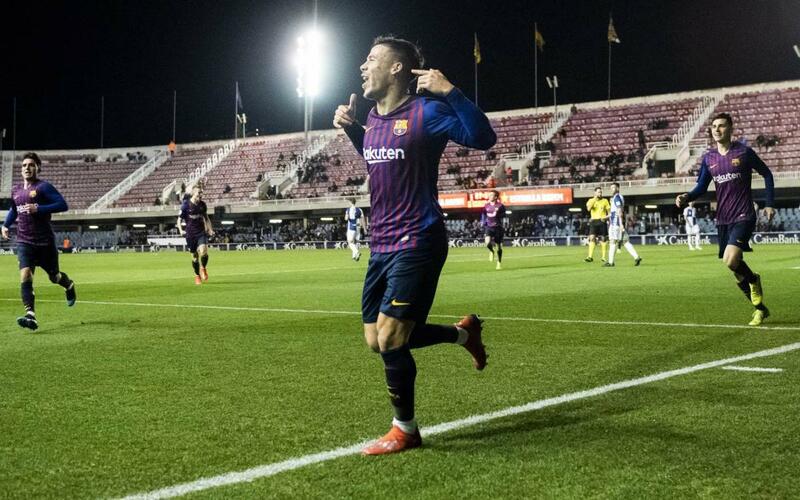 But little by little Barça B began to get on top, and Carles Pérez added his second on 52. He would go on to complete his hat-trick just after the hour mark, and take the game out of Sabadell's reach. With 20 minutes left to play and Puig orchestrating the hosts' attacking forays, Collado made it 4-1, before Vilarrasa put the icing on the cake with his first goal for Barça B (5-1, min 84).